Here is your Scorpio Horoscope for July 2018. Every month, you will find at WeMystic the astrological forecasts for your zodiac sign. The total eclipse of the Full Moon in Aquarius, which will take place on July 27th, will impact the IV House of Scorpio, which alludes to the energy of forgiveness associated with childhood events (or secrets of the past) that have not been overcome. It is important to point out that the South Node of Karma (what we must overcome) and Mars in retrograde (postponed actions) will be in the IV House of Scorpio. This energy, combined with the lunar event, makes it clear that you can not continue with a load on your shoulders (whether it belongs to you or not), much less pass it on to your descendants, (remember that we repeat patterns that we’ve learned). The entry of Venus to the XI House of Scorpio (07/09) indicates that you have people around you who appreciate you and are willing to offer you their support selflessly, if you decide to accept it. For singles of the sign, the entry of Juno into the VII House of the sign (07/01) indicates engagements or formalized relationships; nevertheless, remember that Uranus is in this same location (VII House), so it may be something very different from what you imagine (Neptune in retrograde in the V House: romantic idealization) or not on time. Finances will remain stable for the natives of Scorpio during the month of July. The presence of the asteroid Vesta in retrograde in the II House of the sign does not have a restrictive character, it simply pushes followers of the sign to meditate on the value of their resources and what to invest them in. It should be noted that, when we mention resources and the II House, the reference goes beyond money specifically. For example, time is a resource and you should know if you invest it or waste it. 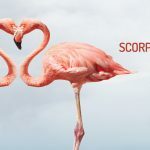 Those sons and daughters of Scorpio who are working on creating a new club, will receive the support of Juno, the asteroid of commitment, which will enter the VII House on July 1. The presence of Juno indicates that both partners feel responsible for the action they undertake and its consequences; additionally, the fact that Uranus is in the same location (VII House) supports business which has been developed with non-traditional methods (regardless of the type of business or investment). In the workplace, Chiron in retrograde in the VI House of Scorpio will expose those situations which cause discomfort in the workplace and will put a magnifying glass on them. Although it isn’t a transit to make immediate decisions in, but rather one to meditate on the circumstances and long-term plans. The entrance of Palas and the Sun to your X House (on July 11th and 22nd, respectively) will show you what you can achieve if you decide to go to your limits. Keep in mind that the North Node (associated with the life mission) and Mercury are in the X House of Scorpio, which suggests connecting with your true vocation and projecting your professional image beyond what you had thought until now. In this sense, the partial eclipse of the Sun in Cancer that will take place on July 12th, will touch the IX House of the sign of the scorpion, which supports studies at a higher level, interaction with foreigners, international procedures (including moving and migrating), projects with partners from other cultures, and publications. But be careful, don’t forget that Mercury will begin to retrograde in the IX House of Scorpio, starting on July 26th, which will slow the pace of events. This does not mean that your plans will remain in the air, but you have the option to confirm if what happens is what you want to happen. For students of Scorpio, the solar eclipse in the IX House of the sign, is an opportunity to enter scholarship or exchange programs, and disseminate research projects in the international arena. Chiron will begin to retrograde in the VI House of Scorpio starting on July 5th, so the sense of dissatisfaction among the natives of the sign will be accentuated, which can lead to episodes of stress, anxiety, sadness and depression. It is important to emphasize that if you do not feel comfortable with the circumstances that surround you (be it at home, work, or your lifestyle), you are the only person capable of changing that situation. You can look for psychological or spiritual guidance, and even ask for advice from friends or close relatives, but the final decision will always be in your hands, you are your own agent of change. Maybe you feel that you should not or can not do without whatever affects you in these moments. In this sense, Chiron in retrograde will provide the opportunity to analyze what concerns you in detail. If you decide to face the problem and not evade it (as you have up to now), you will find that there are different alternatives, which you have not dared to consider yet. It is natural to feel afraid to face your inner world, if you are not used to it, even more if you also have to take definitive steps that will take you away from your comfort zone. However, Chiron in retrograde in the VI House of Scorpio does not suggest you “do it now”, but simply invites you to study what causes you discomfort, and its possible solutions, so that your future decisions are conscious and not through impulses. On the other hand, the beginning of the direct phase of Jupiter in Scorpio, starting on July 10th, will decrease pressure at the psychic level, allowing you to recover sleep patterns, and have better rest days. Remember that Jupiter is known as the planet of expansion, and since it is positioned in Scorpio, it tells us that this growth occurs from within (you must first connect with your essence in order to advance).